Warehouse and Distribution Center Safety program will help you to be more aware of your responsibilities and improve safety in your distribution center. Safety retail distribution centers are the nerve centers of retail corporations. Preventing Back Injury - The vast majority of back injuries are preventable; however, many back problems are not the result of injury, but of the result of the degeneration of the discs. Aging of the spinal disc material causes the most trouble and can cause extreme pain. What this means is that over the years, this delicate discs become worn and damaged. Forklifts And Pedestrian Safety - More injuries are experienced by pedestrians or persons not operating equipment than actual forklift operators. The more technology progresses, the more important it is for professional operation of the equipment. In this program we will discuss the government rules on mandatory training specific to the equipment being operated. Walkie-stacker Safe Operating Procedures program covers the safe operation of the walkie stacker. It is an extremely important part of many organizations� material-handling responsibilities; however, extreme caution must be taken when using this type of equipment. 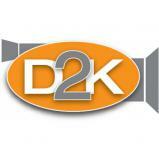 This program was produced in a humorous effect direct attention on the importance of safety for forklift operators. Your forklift operators will love it. 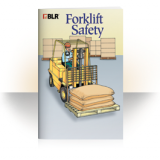 When it's time to train your employees on forklift safety, this colorful booklet goes a long way toward reinforcing your safety message. Covers all of OSHA's key forklift training points - inspections, refueling, maintenance, safe and responsible driving, parking, stacking, and unloading. 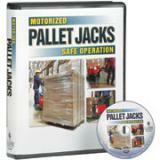 Includes basic safety precautions for operating a forklift. Colorful and clear illustrations combined with easy-to-read text make this a training powerhouse. 16 pages. 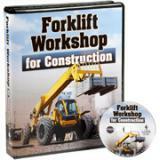 Supervisors And Forklift Training - A humorous approach to supervisors and forklift safety. Supervisors are responsible for everything that happens or fails to happen on any kind of program. Employees have a responsibility also, to follow the rules set down by the company. Baler Safety program reviews the safety features and operating procedures when operating a baler. A mechanical baler is a very useful and productive machine. It's designed to be a safe machine, but any machine can be hazardous if it's not used properly. This program is designed to educate your employees on how to protect themselves from bloodborne pathogens. This program is designed to provide your employees with the equipment-specific training needed to comply with OSHA's powered industrial truck standard. This program provides an informative overview of the various types of personal protective equipment, what types of protective equipment is appropriate in certain situations, and how to correctly use each type of equipment. This course covers the common ways forklift operators cause product damage in a warehouse environment, and recommended practices for avoiding this damage. It is meant to be used as an introductory or refresher course for forklift operators. It is based on research of the most common types of forklift product damage and on industry best practices. 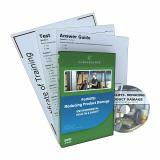 This program includes instruction on proper body mechanics, patient transfer techniques and exercises which will help you avoid what OSHA has called "the nation's number one workplace safety problem." 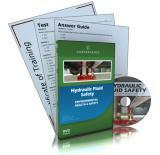 A NEW approach to training on forklift operator safety. Available in English and Spanish. Helps trainers meet the formal, practical, evaluation, and refresher training requirements of OSHA's 29 CFR Section 1926.602(d) and 1910.178(l).